Drew Goddard To Helm New Spider-Man Reboot? Sinister Six Spinoff Cancelled? 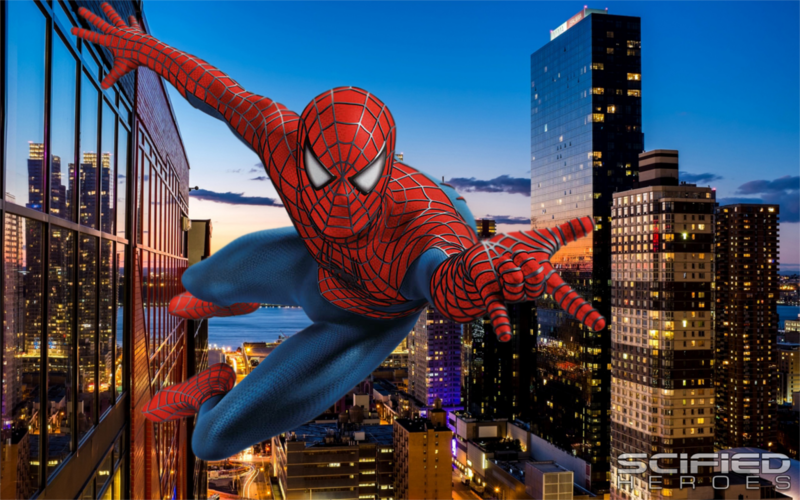 With the amazing deal between Sony Pictures and Marvel Studios bringing Spider-Man into the MCU and possibly MCU characters into any future Spider-Man movies financed by Sony Pictures, many fans have been anxious to know the direction the rebooted franchise will take. While, in our last article, we have already explained (with the information available at the time) the legalities behind the recent deal, recent news that former 20th Century Fox producer Tom Rothman has taken up Amy Pascals former position as head of of Sony Pictures, has caused fresh anxiety among fans. Rothman was head of Fox during their past, less popular attempts at making comic book movies such as X-Men: Origins - Wolverine, the two previous Fantastic Four movies and the first three X-Men movies. After receiving the good news that Matt Tolmach and Avi Arad had been 'reduced' to executive producers, many feel that Rothmans new position would spell doom for Spider-Man; but with Marvel Studios Kevin Feige having personally brokered this deal with Amy Pascal, it is very unlikely that he would allow Rothman to sabotage his own studios chances at regaining control of their most well known property. The only real worry that remains for Spider-Man fans is the actual shape of his future. Although it is practically a given that the character will star alongside the Black Panther in the forthcoming Captain America: Civil War, and presumably again in the two part Avengers: Infinity War, his future under the control of Sony has remained a little less certain. Thankfully according to a new, if unconfirmed, report it seems as though Sony have finally listened to common sense and dropped most of the previously intended Spider-Man spin offs such as the planned Sinister Six, Aunt May and Spider-Women movies. While initially the loss of a Sinister Six movie seems like a blow, director and writer Drew Goddard (Cabin in the Woods), whom was attached to the project, will instead helm the new Spider-Man movie, intended to be the first of, hopefully, a trilogy which will over its course feature the line-up of the, presumably recast and redesigned, Sinister Six. The report suggests that an unknown will be cast in the starring role and that, to help differentiate it from the previou two failed attempts at the franchise, the movie series may be titled the Spectacular Spider-Man, with the first movie rumored to possibly feature a fight between our friendly neighbourhood web silnger against Robert Downey Jr. as Tony Stark AKA Iron Man. The Spectacular Spider-Man will swing by theaters July 28th, 2017. Unfortunately, it remains uncertain what the future holds for the formerly proposed Venom movie; though with Alex Kurtzman and Roberto Orci having already gone their separate ways, its future looks luch less certain... Unless the alien smbiote makes its appearance in the new Spider-Man movie? 0 Fan responses to Drew Goddard To Helm New Spider-Man Reboot? Sinister Six Spinoff Cancelled?